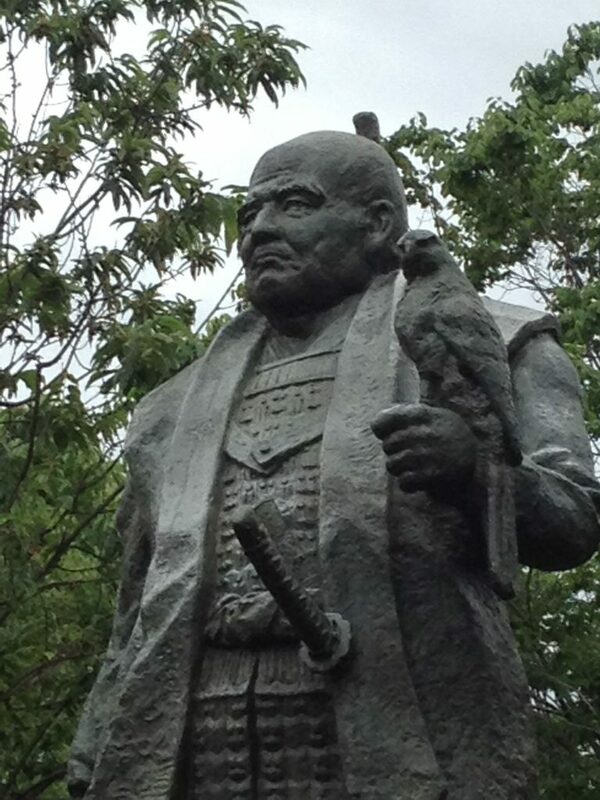 Tokugawa Ieyasu was the first of the Tokugawa Shogun, and third of the Three Great Unifiers of Japan. 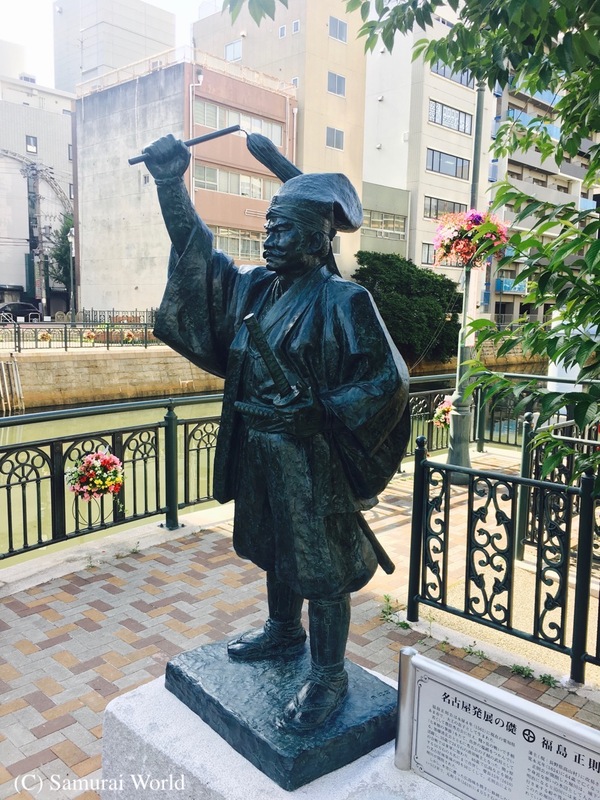 Born January 31 1543 at Okazaki Castle in Aichi Prefecture, the young Ieyasu, was sent as a hostage to the Imagawa clan by his father, Matsudaira Hidetada, who sought their help in the fight against the Oda. The Matsudaira clan were hemmed in by the Oda to the west, and the Imagawa to the northeast. 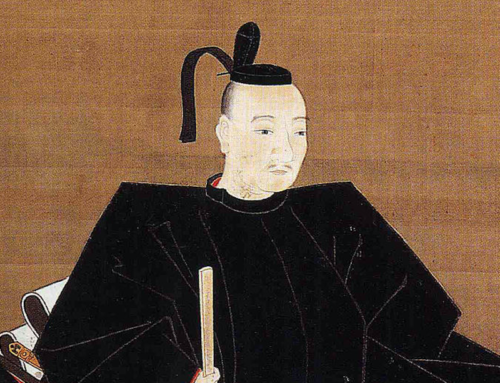 Which of the rival warlords to ally themselves with caused much contention among the Matsudaira leaders, before Hidetada decided to support the larger, stronger Imagawa. Enroute to the Imagawa base castle at Suruga, the convoy was led by a maverick retainer of the Matsudaira clan to the enemy, Oda Nobuhide, who offered peace terms to the Tokugawa on such difficult conditions that Hidetada refused even at the risk of his young son’s life. 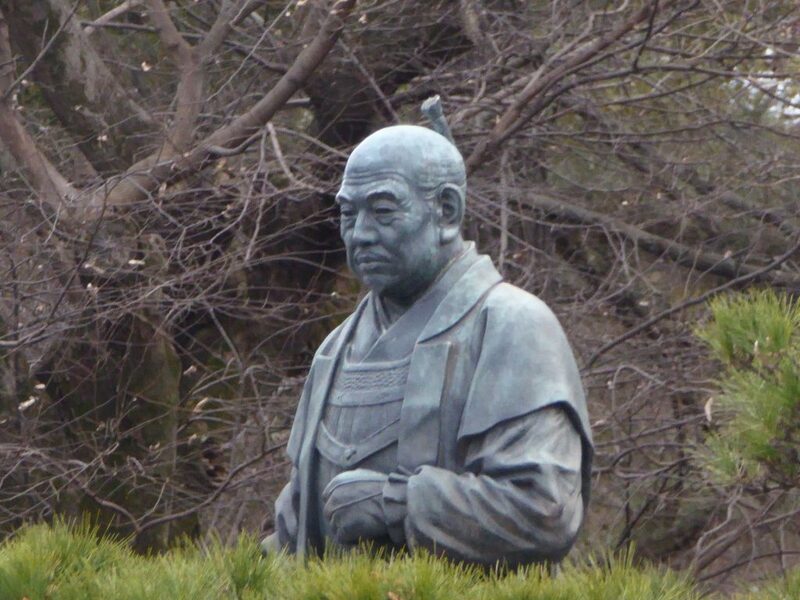 Ieyasu was then confined to Nobuhide’s castle, where he may well have come into contact with Nobuhide’s son, Nobunaga, and at a Temple in Nagoya, where he endured many hardships. When the Imagawa attacked Anjo Castle and captured Oda Nobuhide’s son some three years later, Ieyasu was then handed over to the Imagawa in exchange. 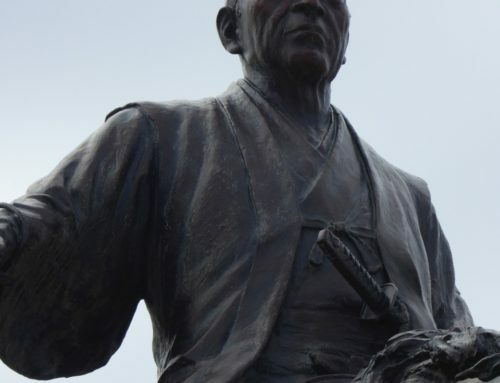 Ieyasu took part in the 1560 battle between the Imagawa Yoshimoto and the Oda Nobunaga at Okehazama, when 25,000 Imagawa soldiers were trounced by 2,500 Oda samurai. Ieyasu had been entrusted with delivering supplies to Odaka Castle when Nobunaga struck at the heart of the Imagawa encampment. 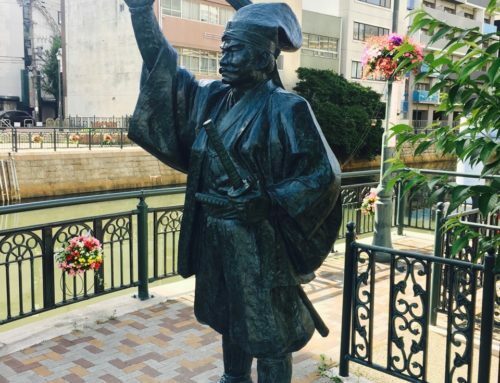 With the death of Imagawa Yoshimoto, Ieyasu was at last free. Upon his return to Okazaki Castle he allied himself with Oda Nobunaga, who had indirectly brought about his freedom. Ieyasu faced near total defeat in 1573 when the Takeda clan attacked his northern provinces of Totomi in the Battle of Mikatagahara. Four years later, and with the assistance of Oda Nobunaga, we would get his revenge, decimating the Takeda forces at the Battle of Nagashino. 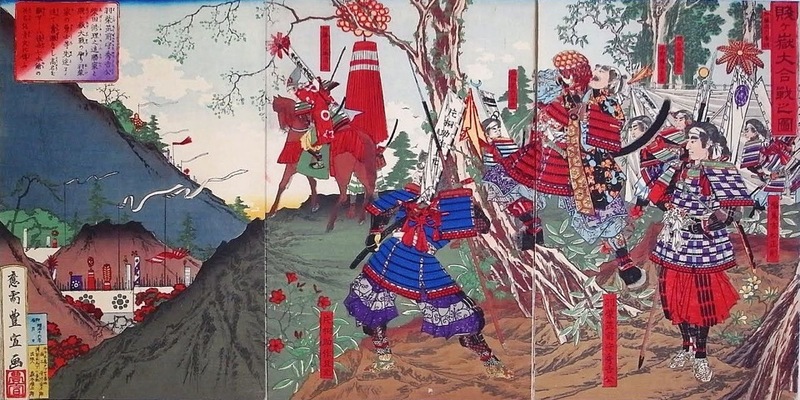 Following the death of Nobunaga, Ieyasu would face off against Hideyoshi at the battle of Komaki Nagakute in 1584, although relations between the powerful men would later improve. 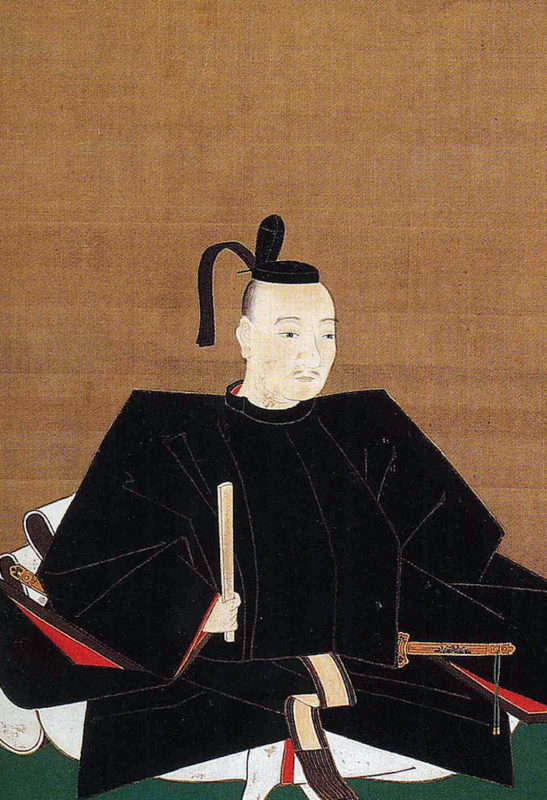 On his deathbed in 1598, Hideyoshi, having ruled a unified nation for nearly 15 years, called for the then 56-year-old Ieyasu and entrusted the him to lead the council of regents who would attend to his five-year-old son and designated heir Toyotomi Hideyori. 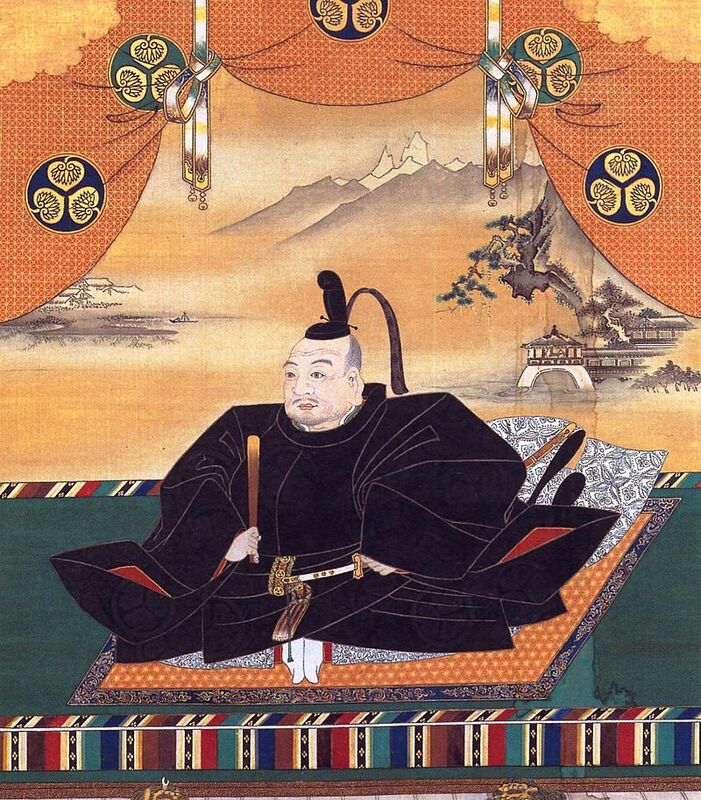 Ieyasu readily agreed and upon the death of the Taiko, or ‘Great Chancellor’ as Hideyoshi was titled, installed himself in Hideyoshi‘s sumptuous Fushimi Castle and immediately began to make moves to assume complete power of the country. His actions invoked the ire of a number of his contemporaries, many of whom openly condemned his plans, tearing the nation into two factions, east and west. 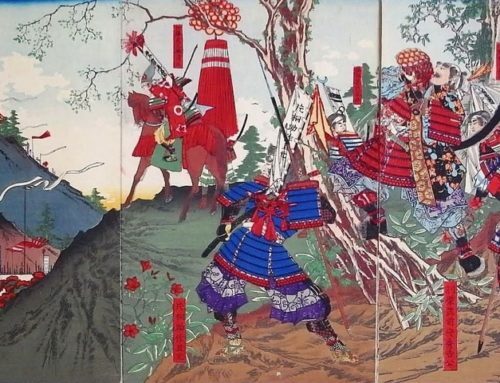 These two great armies met on October 21, 1600 on the small plain of Sekigahara, the gateway between the mountains dividing the country, and where the strategically important arterial routes, the Tokaido and Nakasendo highways merged. 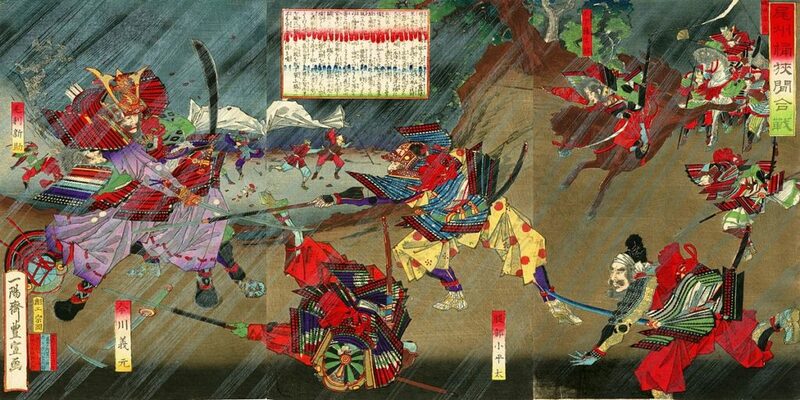 Ieyasu would emerge victorious from what was to become the biggest, bloodiest, most decisive battle in samurai history. Three years after the Battle of Sekigahara, Ieyasu was invested with the title of Shogun, establishing a dynasty that would rule Japan for 260 years. 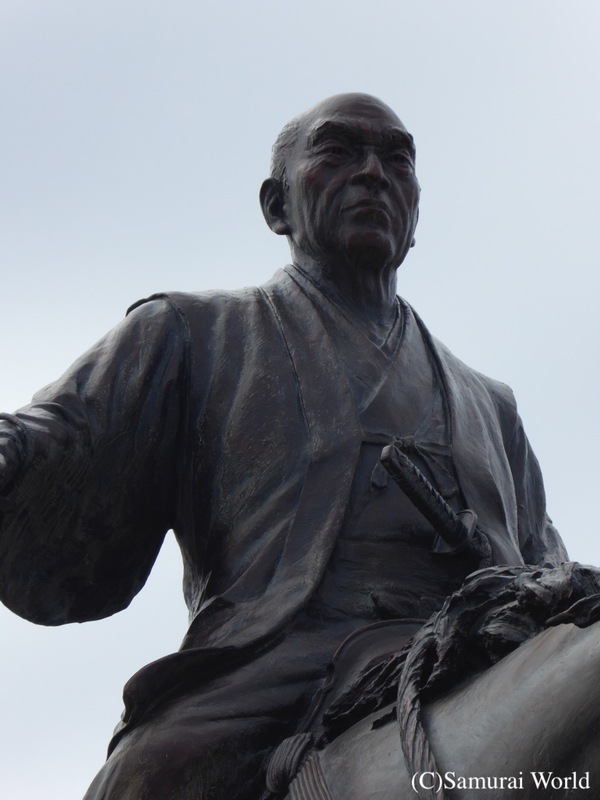 Details remaining from later in Ieyasu’s life show him to have stood about 156.5cm tall. Although he was slim in his younger days, he grew larger as he aged, with a girth of 100 to 120cm. Order forms for split toe tabi socks show his feet measured 22.7cm. His inner leg was about 80cm, while his leg from knee to foot was 35cm long. Hand prints show his hands were 18cm from palm base to fingertips. (His left hand featured a single straight line running across the palm. Apparently palm readers attribute this as a sign of greatness.) In times of stress he bit his nails, particularly the little finger of his left hand, often until they bled. He enjoyed hawking, swimming and an active lifestyle. He would often swim in the moat of Edo Castle, and later in Sumpu’s moat. Despite his elevated status, Ieyasu rarely ate large and sumptuous meals, preferring simple fare. He maintained a keen interest in fitness and health, and studied medicines. He would often offer medicinal advice to his retainers and other daimyo. 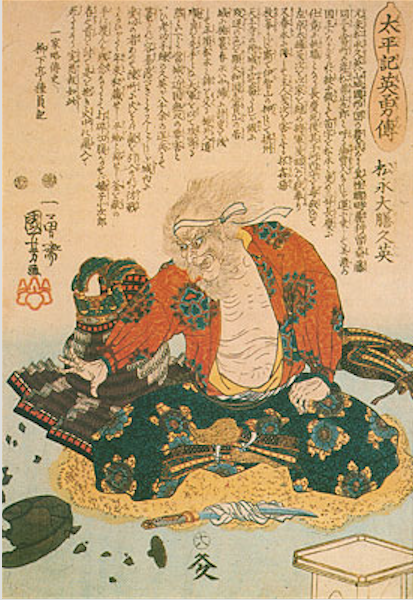 Ieyasu died aged 73, a ripe old age in a time when the average lifespan was only around 50 years. 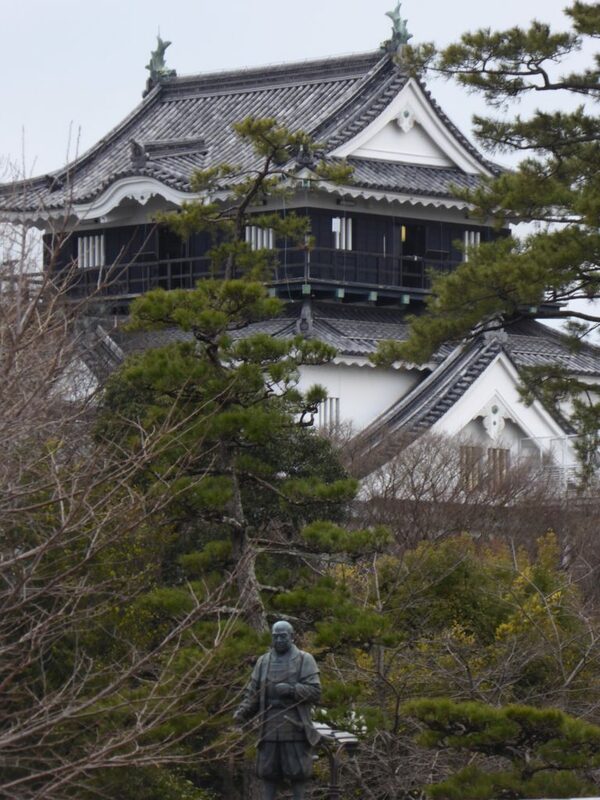 The story goes that he died after eating tempura while falconing at Tanaka Castle in Shizuoka. 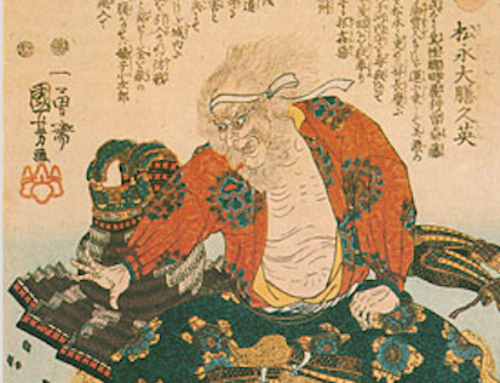 Modern researchers believe the tempura oils may have upset Ieyasu’s onset stomach cancer. His body is buried at the top of Kunouzan above the Kunouzan Toshogu, in Shizuoka, while his spirit is enshrined in the magnificent Toshogu at Nikko.